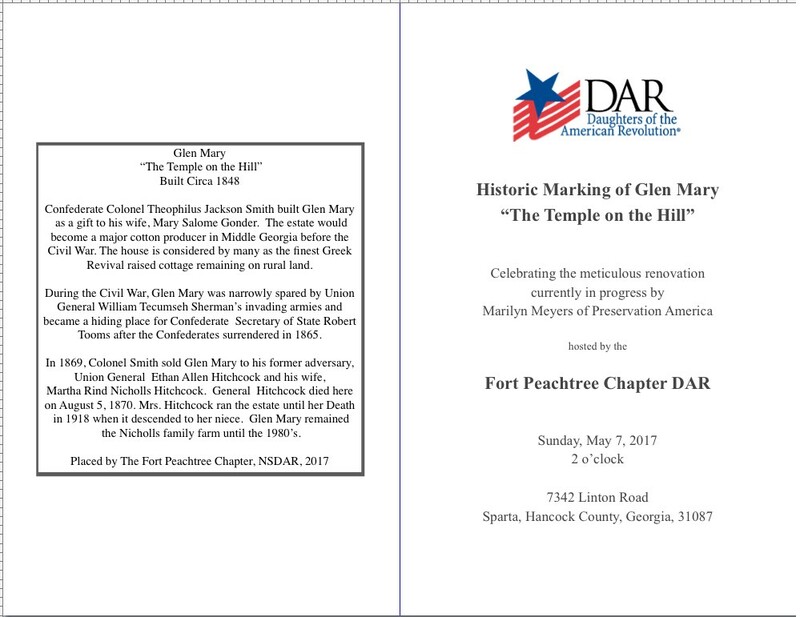 On May 7, 2017, Glen Mary , “The Temple on the Hill”, was honored by The Fort Peachtree Chapter of The Daughters of the American Revolution, (NSDAR) with a gift of a historic marker. 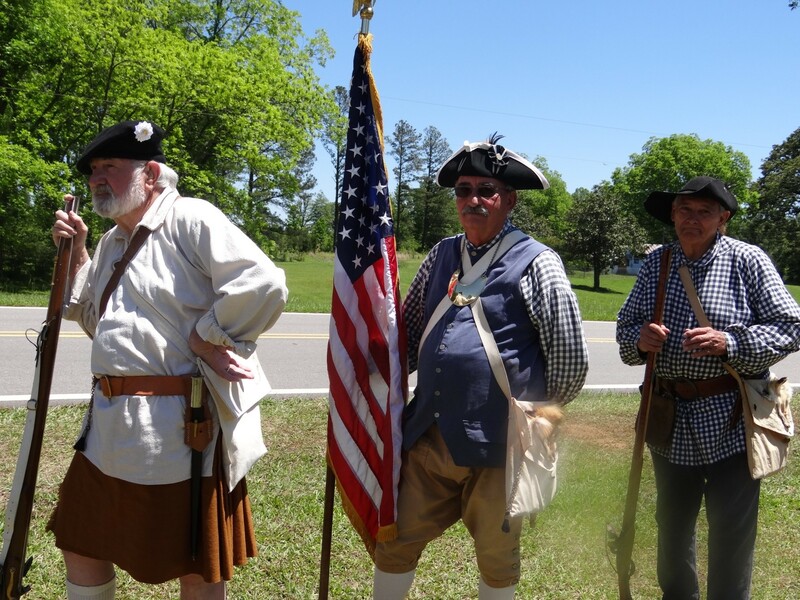 The impressive unveiling ceremony included a patriotic color guard from The Elijah Clarke Sons of the American Revolution Chapter (SAR) Militia. An afternoon reception followed the dedication. It was a beautiful day for a celebration, perfect weather and a gorgeous location in the country. 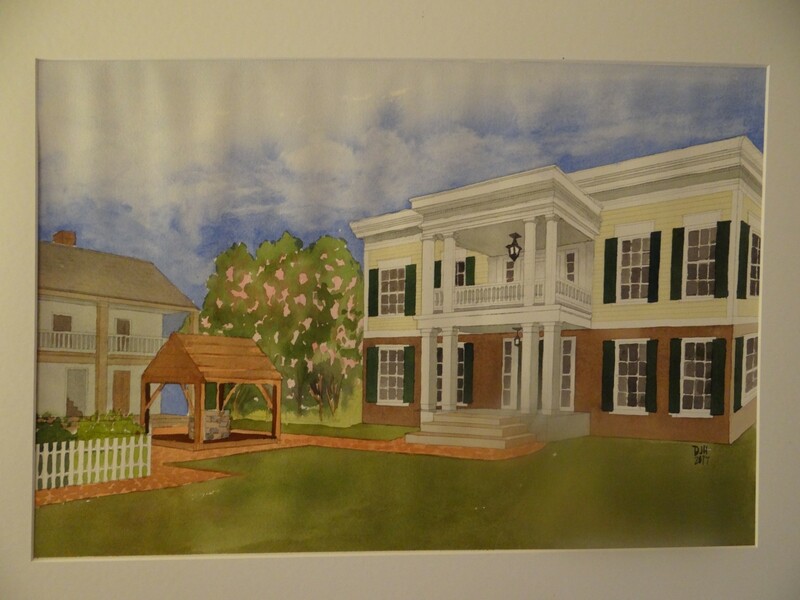 The acres of green rolling hills, gracious old magnolias and a view of Glen Mary’s white columned veranda set the scene. 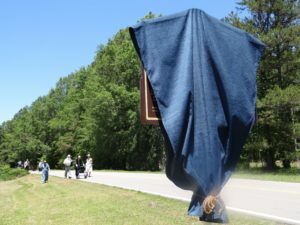 As people arrived they could certainly see the small tent and chairs near the road, and the large marker covered in DAR blue velvet, tied with a gold chord. 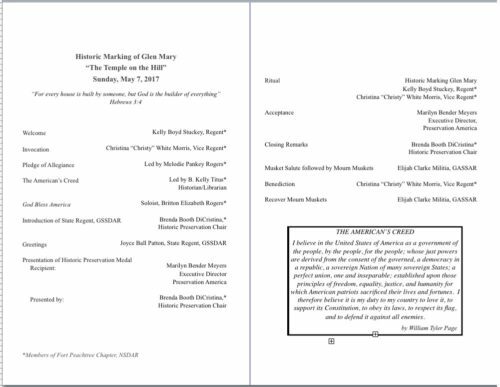 Glen Mary, the grand old home, in the midst of restoration, was built before the Civil War. 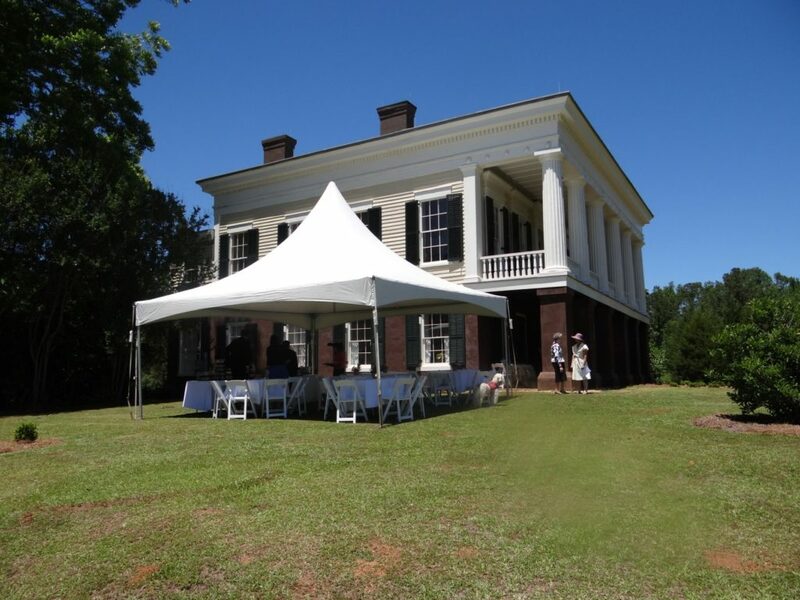 A large white tent with a peaked top was situated to the left of the long front porch. Imagine ladies in their hats and men in jackets, some with bow ties, buzzing with excitement. Our Ft. Peachtree Chapter was busy setting out delicious food and cool drinks. Lovely baskets filled with flowers and American flags graced the linen covered tables. 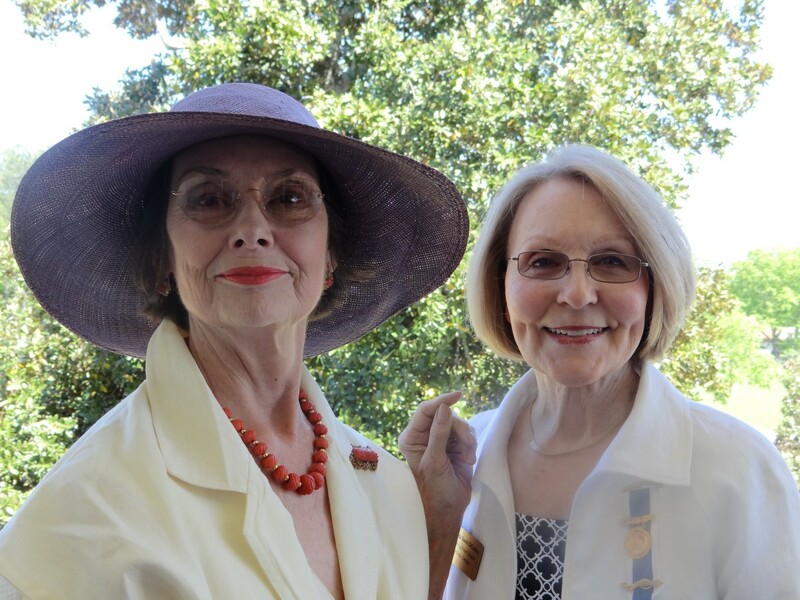 Guests: left: Mrs. Mary Updike Nielsen, Former DAR Fort Peachtree Chapter Regent—right: State 1st Vice Regent Mrs. Melodye Brown. 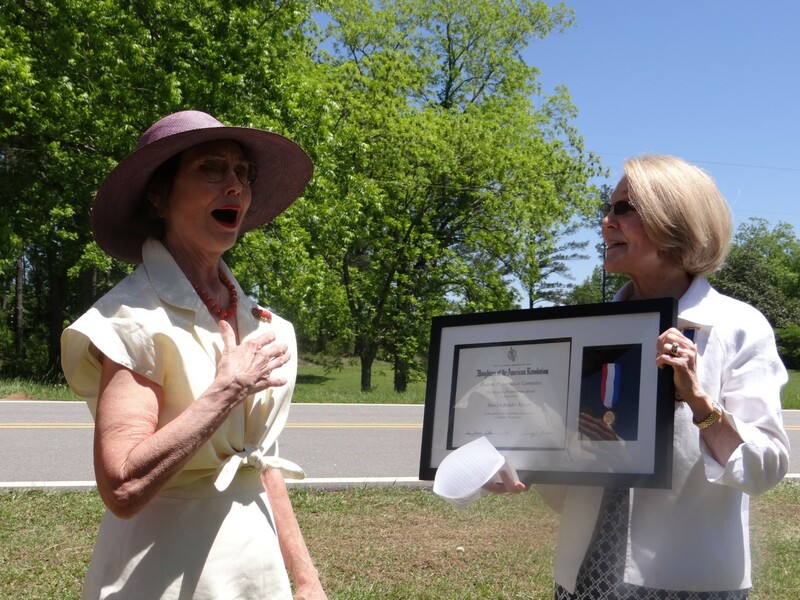 Now imagine Britton Rogers singing, “God Bless America”, Marilyn Meyers, speechless as she received the DAR Historic Preservation Award and Medal, and the DAR Ritual for historic sites. 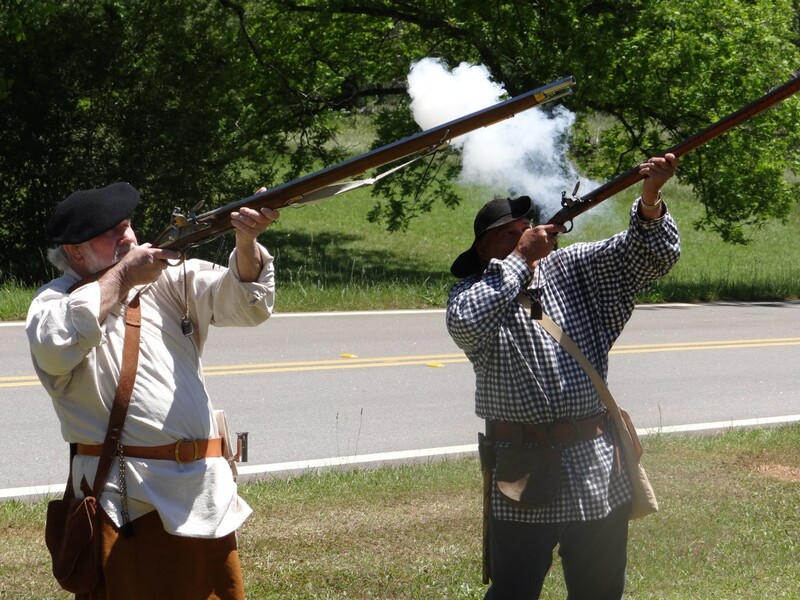 The SAR militia, dressed in colonial garb, marched as the flag carrying commander shouted orders for the men to fire their muskets. Then came the unveiling of the beautiful bronze and gold marker. Such a wonderful tribute. 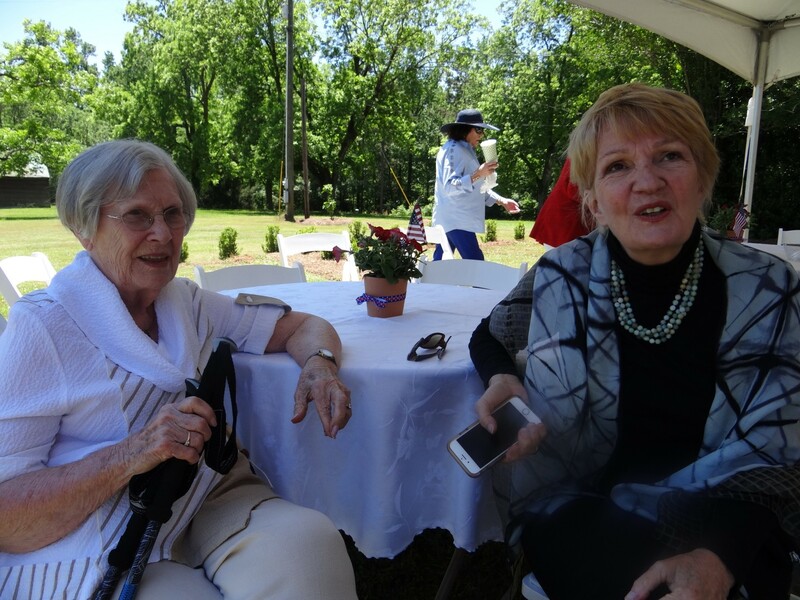 Left: Marilyn Meyers, accepting it on behalf of the Trustees of Preservation America, the charitable Foundation that owns and operates Glen Mary. 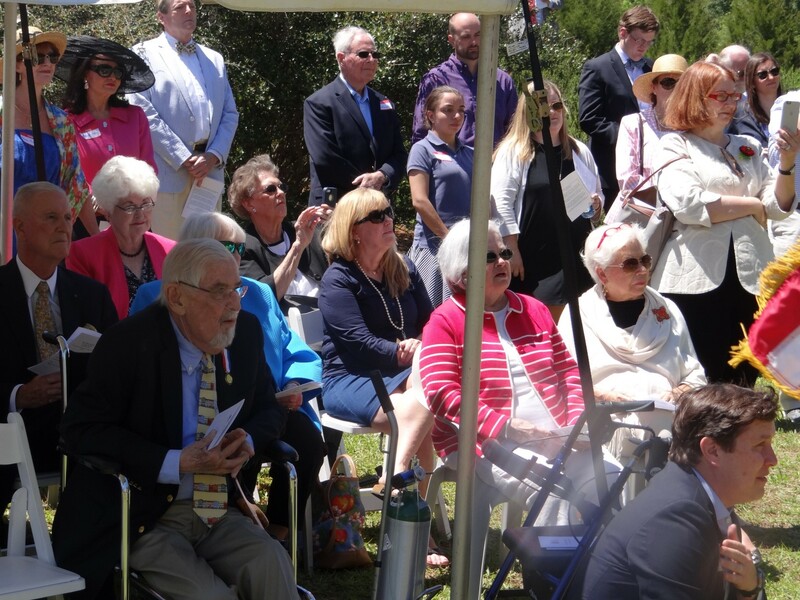 Afterwards, everyone headed up to the larger tent to enjoy a lovely reception of various types of sandwiches, cheeses, fruit, cheese straws, and petit fours decorated to match the red white and blue theme. We enjoyed fellowship with Army General Peter Boylan, Architect Kenneth Spriggs, DAR State Officers, attorneys, so many lovely people in various walks of life. Glen Mary’s buried past came to life through UGA Archaeologist Brandon Ritchison’s informative poster explaining Ground Penetrating Radar, a relatively new geophysical method of investigation which he used to detect the reflected signals from subsurface structures. 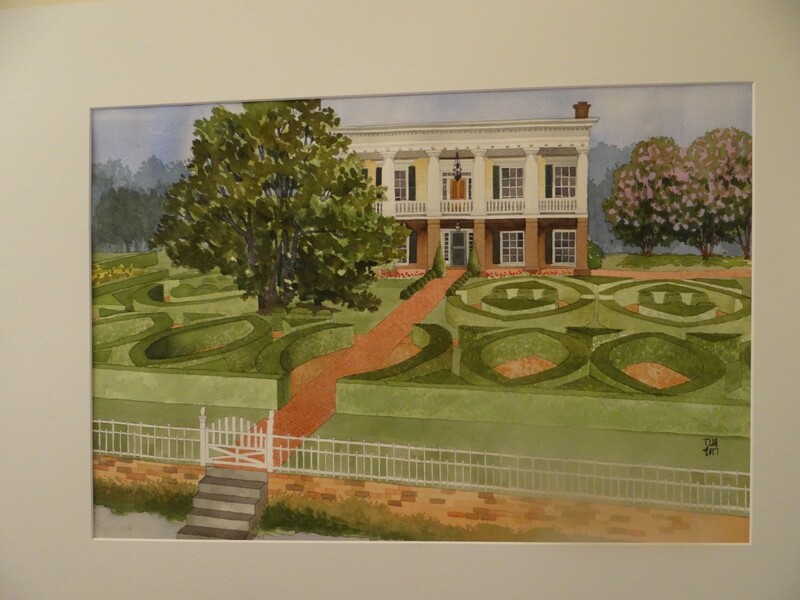 The GPR scans illustrate the geometrical patterns of Glen Mary’s front parterre garden. 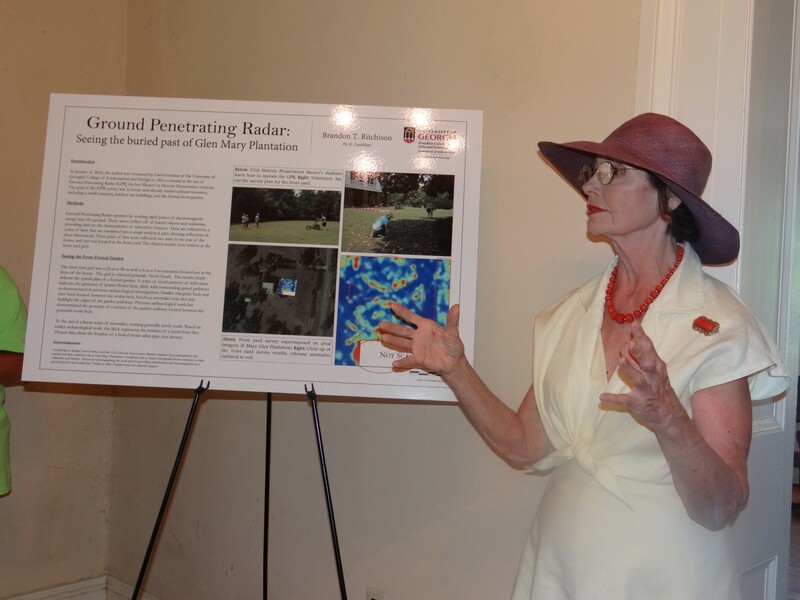 Marilyn Meyers pointing out to guests the poster showing the GPR discovery. 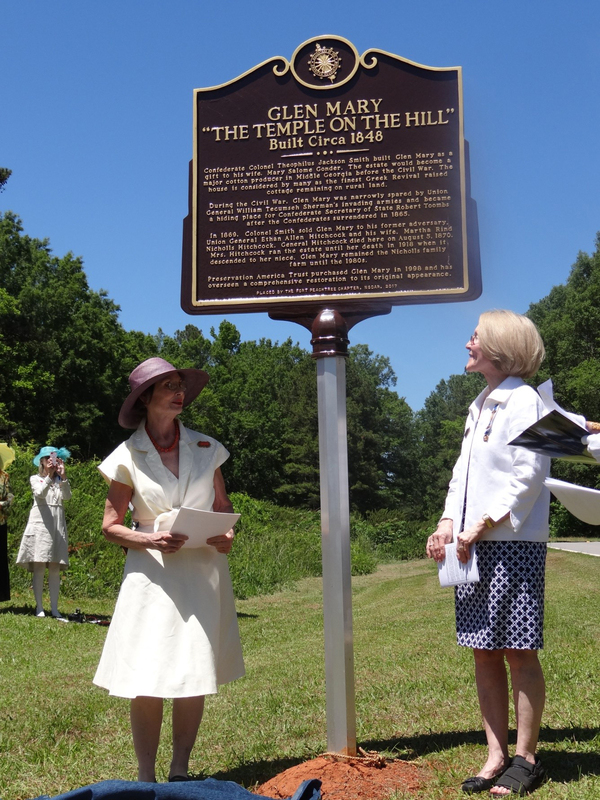 The same conservation firm, Landmark Preservation of Savannah, that is restoring parts of our own DAR Meadow Garden, is also restoring Glen Mary. 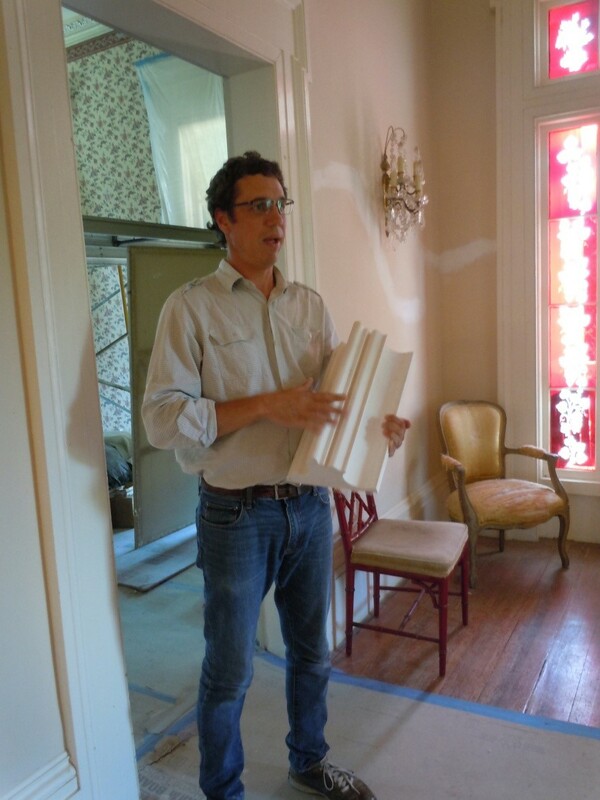 Greg Jacobs of Landmark Preservation, who is overseeing the installation of the ornamental plaster work at Glen Mary, spoke to the guests about his work making and installing the intricate plaster cornices and ceiling medallions in three of Glen Mary’s public rooms- currently an ongoing restoration. 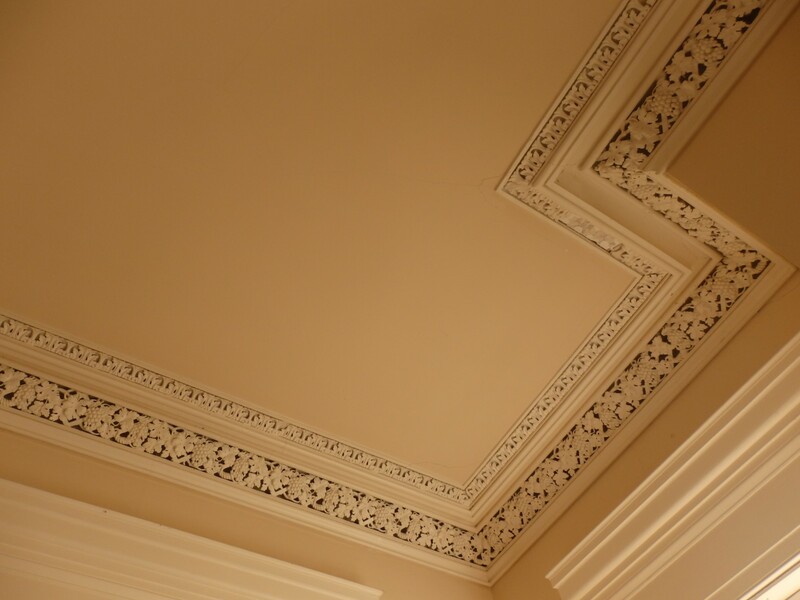 Glen Mary’s elaborate parlour cornice was exhibited in the New York Metropolitan Museum of Art on the occasion of the museums centenary anniversary. 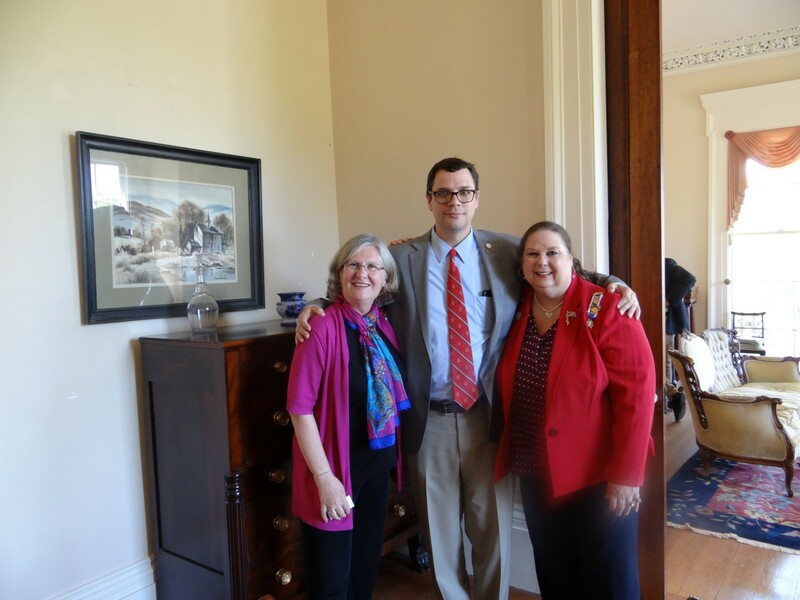 Guests: Left to right : Attorney Christine Ver Ploeg and David Mitchell, Trustees of Preservation America and Attorney Deborah Hicks, photographed in Glen Mary’s double parlour. 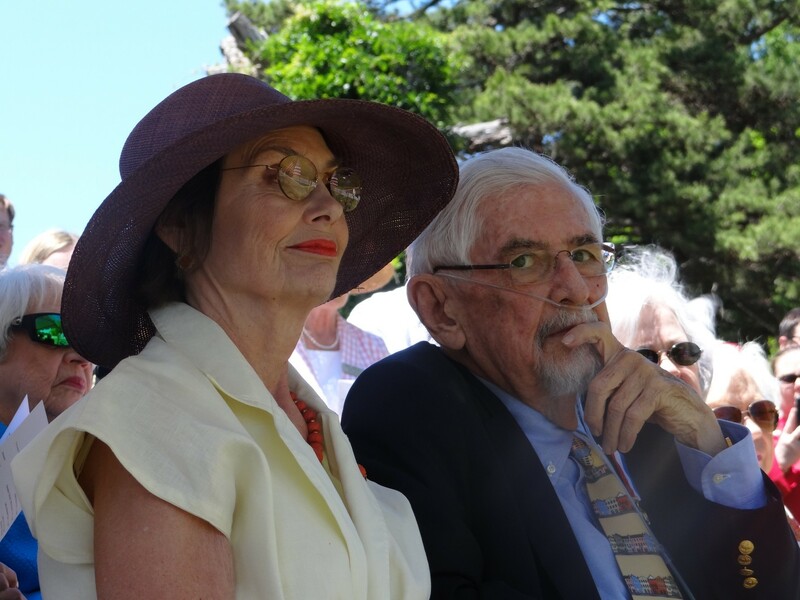 David Mitchell generously gifted the installation of the marker. 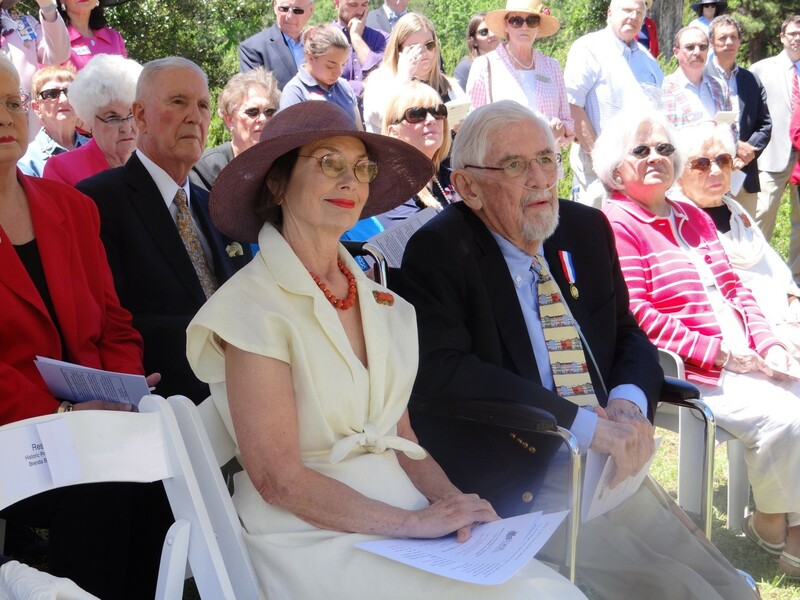 David Seibert, the extraordinary preservationist from Sandy Springs, Georgia visited Glen Mary many years ago and at that time recognized Glen Mary’s critical need for a historic marker. 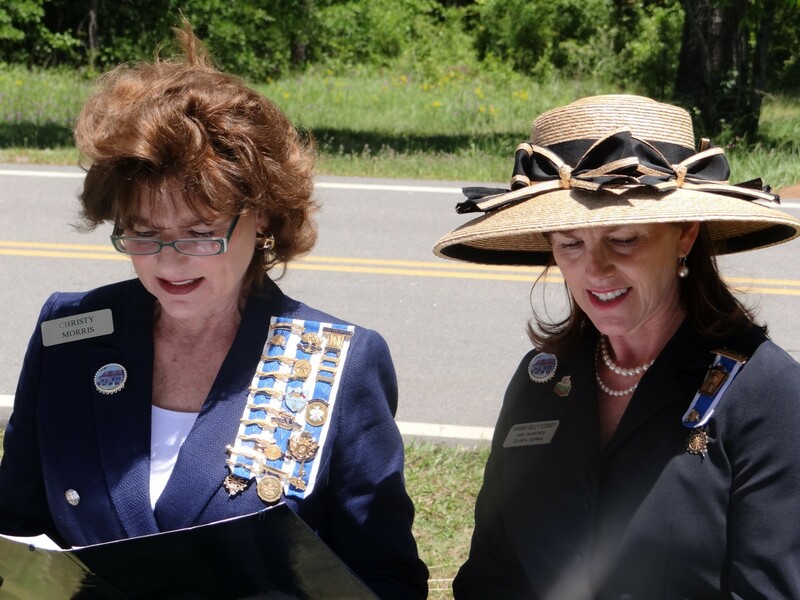 It was he who introduced the ladies of the Fort Peachtree DAR Chapter to Glen Mary’s need for a marker. Happily Mr. Siebert was able to join the celebration today. 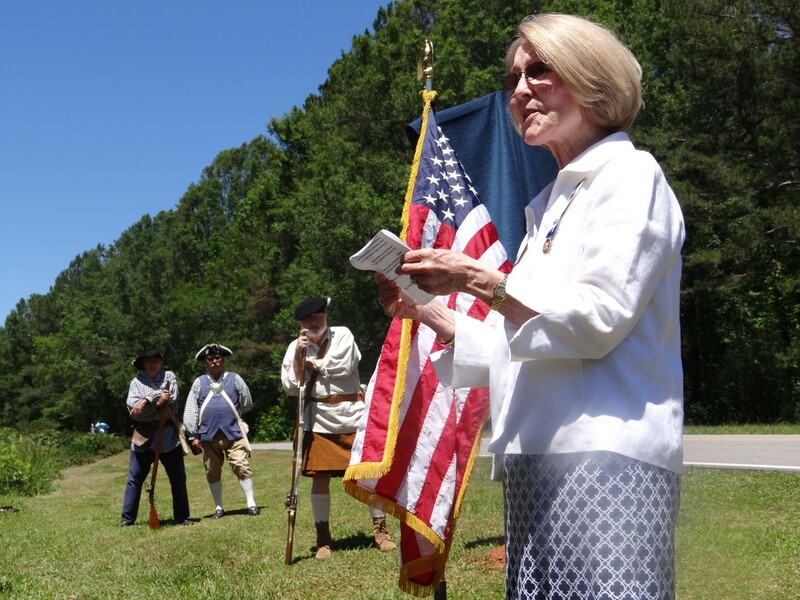 Mary Murphy, the 4x great granddaughter of the original owner, Confederate Colonel Theophilus Jackson Smith, showed a curious group where she used to play and sleep as a little girl. In the cottage out back, a slide presentation showed the history and the restoration of Glen Mary. 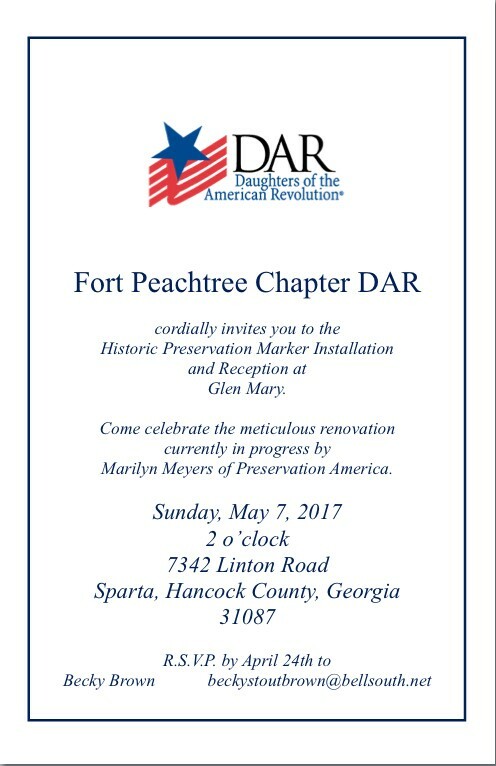 It was a truly glorious day for Ft. Peachtree as the State Officers shared, “This is the goal of the DAR. We are extremely pleased”. In attendance, approximately 75 people. Many were from our Ft. Peachtree Chapter in Atlanta, driving over two hours each way. 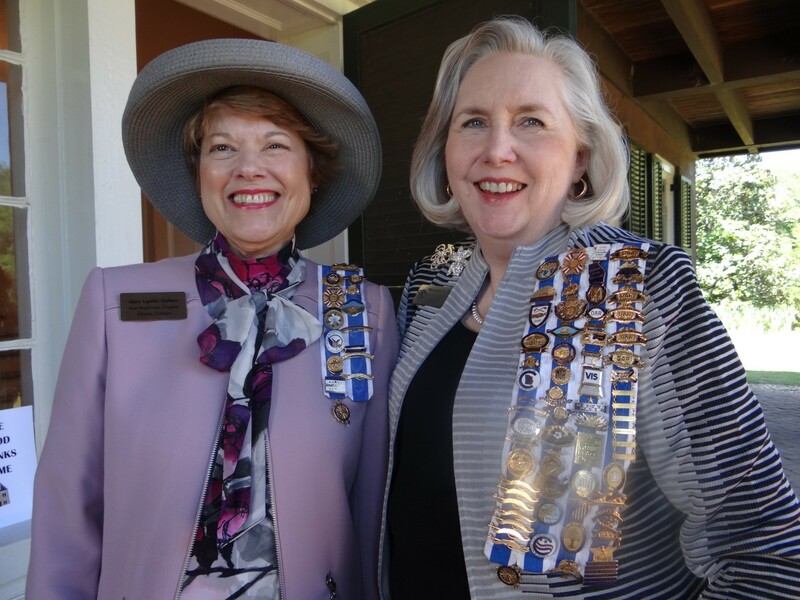 Marilyn Meyers on the left and on the right The Most Extraordinary Mrs. Brenda DiCristina, Historic Preservation Chair of The DAR Fort Peachtree Chapter, who organized the marker from start to finish, nearly three year job!